HCMC, Oct 04, 2018. 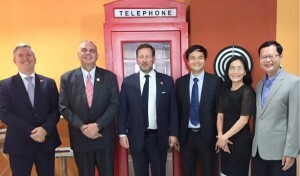 On the morning of the day, representatives of VNITO Alliance had a meeting with the delegation of UK PM Trade Emissaries, led by Mr. Ed Vaizey, the British Prime Minister’s Trade Envoy to Vietnam, at the southern office of Nashtech Vietnam, eTown, HCMC. Mr. Cuong Nguyen, Managing Director of Nashtech Vietnam, welcomed the delegation and introduced them about Nashtech operation in Vietnam. 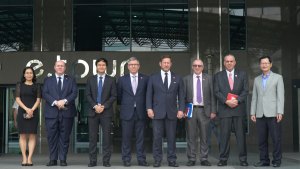 He gave highlights on opportunities and advantages why Nashtech chose Vietnam for their business strategy in Asia as well as wishes to be supported by the UK Department for International Trade, followed by a facility tour around the workplace of Nashtech in eTown 1 & 2. 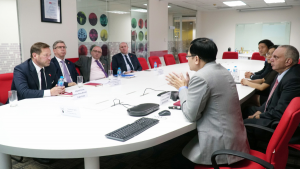 Mr. Long Vuong, on behalf of the VNITO BOD, introduced about VNITO Alliance and provided key facts and figures about Vietnam’s ICT, especially stressed on innovation and education areas where UK and VN companies can collaborate via the facilitation of VNITO Alliance. Mr. Ed Vaizey thanked for the well prepared reception and updates by Nashtech and VNITO representatives. 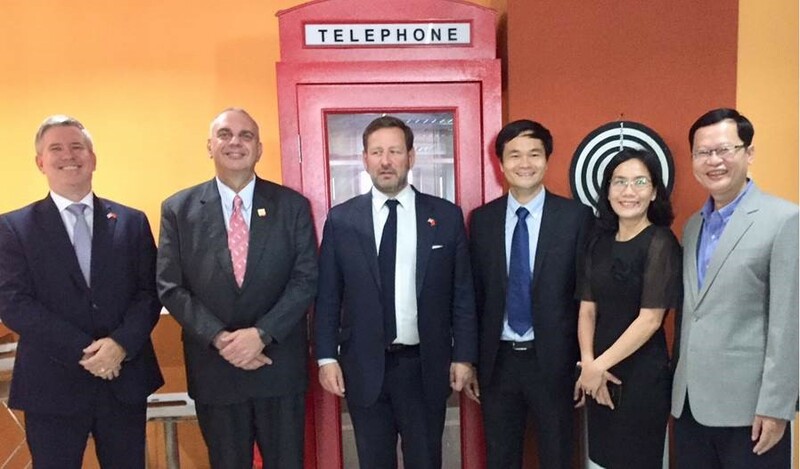 He commits to assist for business development between VN and UK ICT communities, and to become a bridge to VN and UK governments in clearing off obstacles that block chances for investment and business development in ICT industry.